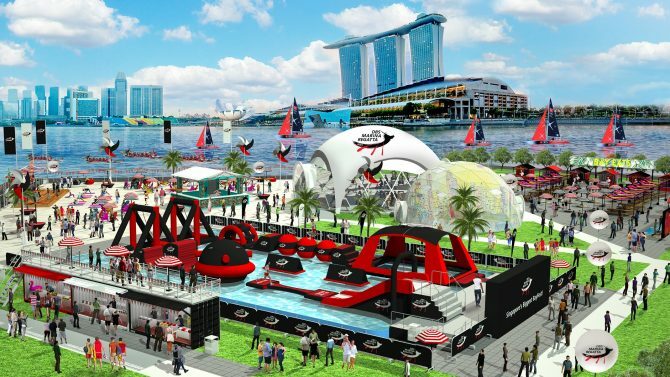 Singapore’s annual watersport fest is back and stepping it up this year. Not only can the public catch the region’s top dragon-boating teams battle it out in the iconic Marina Bay from 1–4 June, they can also enjoy heaps of high-octane fringe activities at the DBS Marina Regatta. 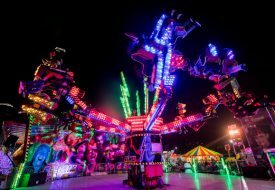 From sports enthusiasts to even music lovers, there will be something for everyone in the family over the weekend. Want to pit your fitness against celebs like charming crooner Nathan Hartono and fitness enthusiast Jaime Teo? Take on the challenge in the Wipeout-style inflatable water obstacle course at Battle Bay. Expect to tackle wall scaling, rope swings and balance blocks. The fastest individuals and teams stand to win up to $8,000 in cash prizes. 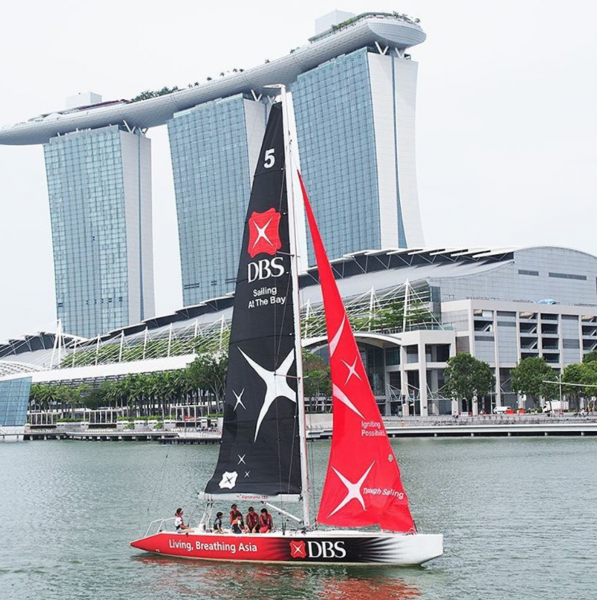 Those into dragonboating can also try their hand at sailing with the DBS Marina Bay Sailing Programme for a little taste of the waters. After a day of fun, relax by Bay Beach, a pop-up urban beach. Athletic apparel brand Lululemon will be hosting a string of free fitness classes that everyone is invited to join, regardless of your fitness level. All participants also get a little surprise from Lululemon after the class, so register online from 2 May. There’s even an interactive art dome for you to customise your own character and watch it come to life. 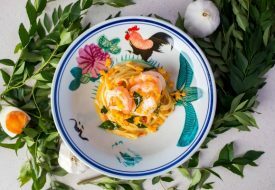 To complete the regatta experience, Potato Head has created special cocktails just for the event, and will be serving them alongside their signature fresh coconut cocktails. 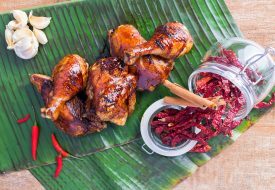 Other eateries that will be making an appearance include Leng Leng ice cream, Garcons and The Belljar. The party continues way after all the boats have crossed the finish line. Start off your Ultra pre-game with the DBSMR X Ultra Countdown Party on 2 and 3 June, with three Ultra Music Festival DJs playing each night. Psst, partygoers also get a chance to win tickets to the Ultra Music Festival taking place the following weekend. The DBS Marina Regatta 2017 will be held from 1–4 June. Admission is free. More information here.